On an invitation by the tourist bureau of Dalian, People's Republic of China, a delegation of the municipality of Ohrid had a work visit in this city on May 7, 2016 ,with which is signed a memorandum for cooperation. 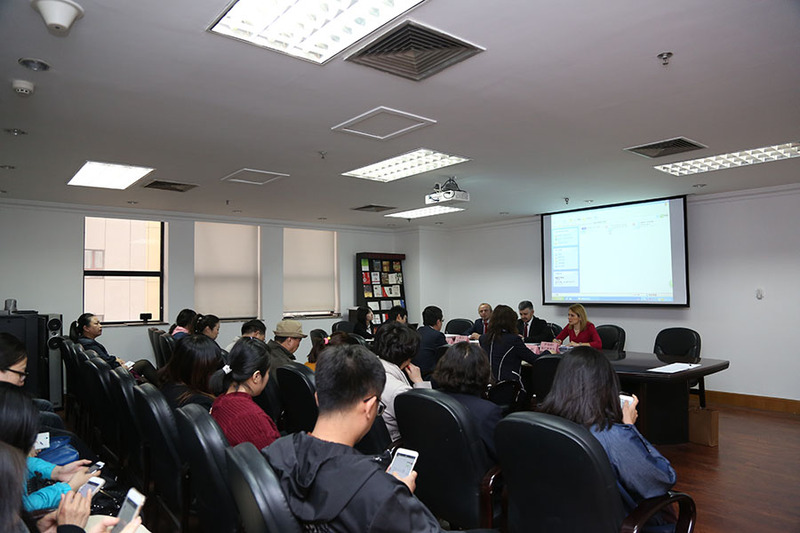 Within the work visit it was also realized a promotion of the tourist offer of Ohrid, and also business meetings were held with the representatives from more than twenty tour operators, as well as many media, among which the National television of PR China - CCTV. During the business meetings, the focus was on the opportunities, conditions and standards that must be achieved in the process of starting a concrete business cooperation between the tourism sectors of Ohrid and Republic Macedonia and the city of Dalian. In this regard, one of the activities of the Sector for tourism and local economic development will be realized on work meetings with the tourst organizations from Ohrid that will be presented to the specifics of the Chinese tourism market and the opportunities to develop and offer specific tourist products and packaged services, and also contact data will be shared from their future business partners in Dalian. That way they will be able to directly determine the conditions of cooperation. The second part of the visit covered business meetings of other economic sectors and investment opportunities in Ohrid. In continuation of the discussions of Mayor Nikola Bakracheski, the delegation had a work meeting with Luis Qu, director of a company for international investment from Dalian, who confirmed the interest to invest in Ohrid in the field of tourism, and also informed about the dynamics of their plans to invest in Ohrid. The working meeting was attended by the chairman of Dalian Yiyan Investment Co. Ltd, who expressed interest in investing in Ohrid. During their stay in Dalian, the delegation also met with the Deputy Director General of the Bureau of Foreign Affairs of the city of Dalian.